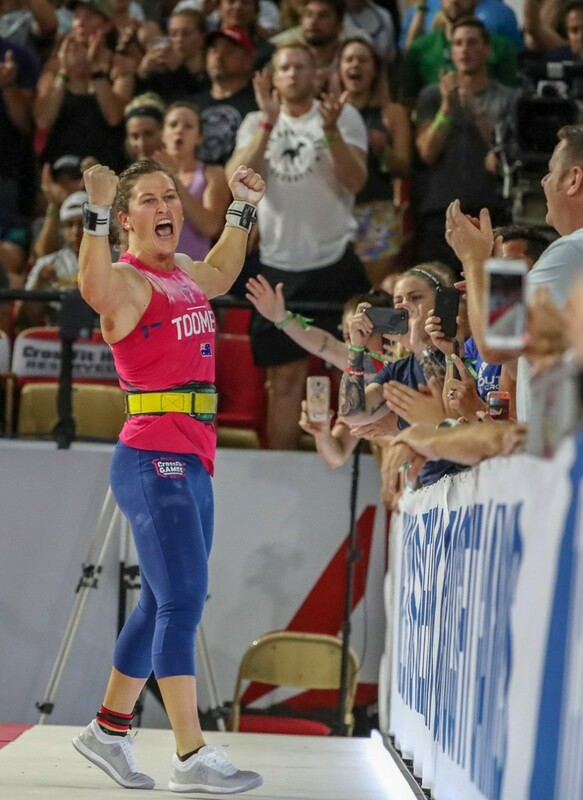 Mathew Fraser and Tia-Clair Toomey are closing in on retaining their CrossFit Games crowns after stretching their leads on Saturday. 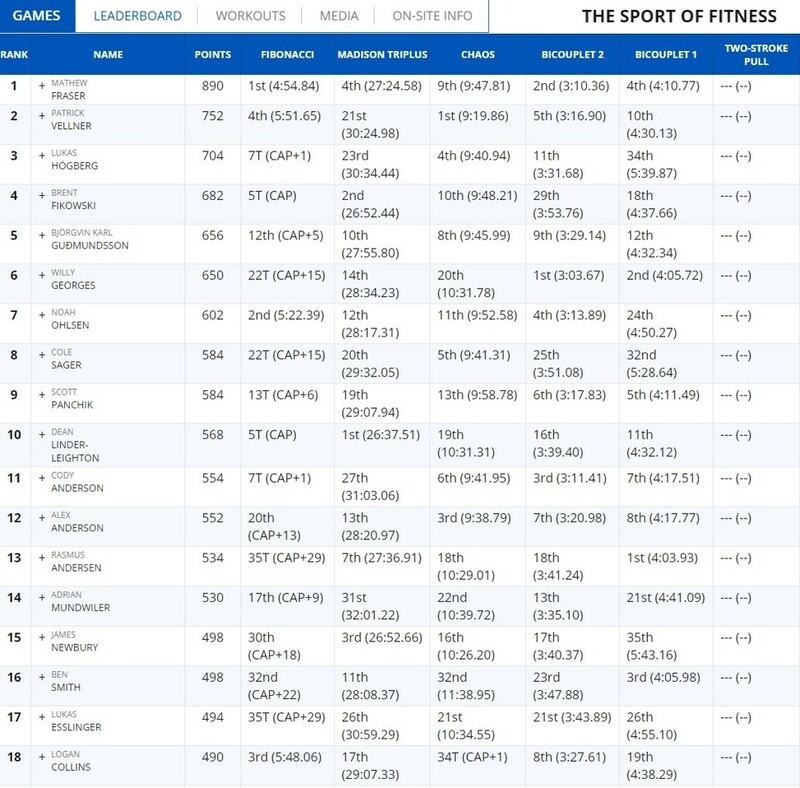 American Fraser, the two-time defending men’s champion, had a solid day at the Alliant Energy Centre in Madison, Wisconsin, starting with 84 points for fourth place in the Madison Triplus, finishing in 27:24.58. 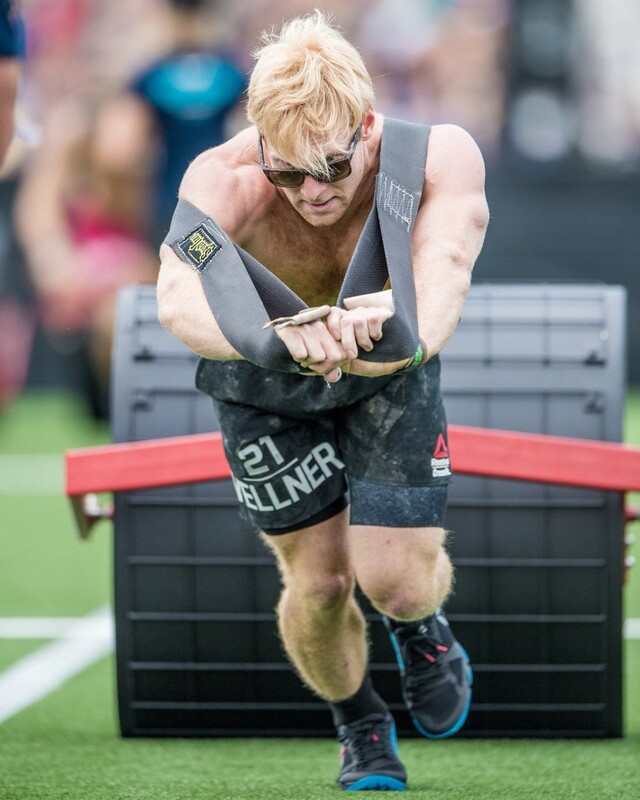 He followed that up with ninth in the “Chaos” event, and then took second place in Bicouplet 2 and fourth in Bicouplet 1 – fans had voted to reverse the order of the Bicouplets in a poll on the CrossFit Games Facebook page – to go 138 points clear atop the men’s leader board. Patrick Vellner is his closest challenger going into Sunday’s final day of individual events, thanks largely to winning Chaos in 9:19.86. It was a good turnaround for Vellner after he came 21st in the Madison Triplus (30:24.98) and backed it up with finishes of fifth and 10th in the Bicouplets to cement second place. Lukas Hogberg, Brent Fikowski and Bjorgvin Karl Gudmundsson round out the top five for the men, but it will take a huge effort for anyone to reel in Fraser. On the women’s side, Australia’s Toomey made a statement of intent by winning the day’s first event, the Madison Triplus, in 25:35.01 for 100 points. 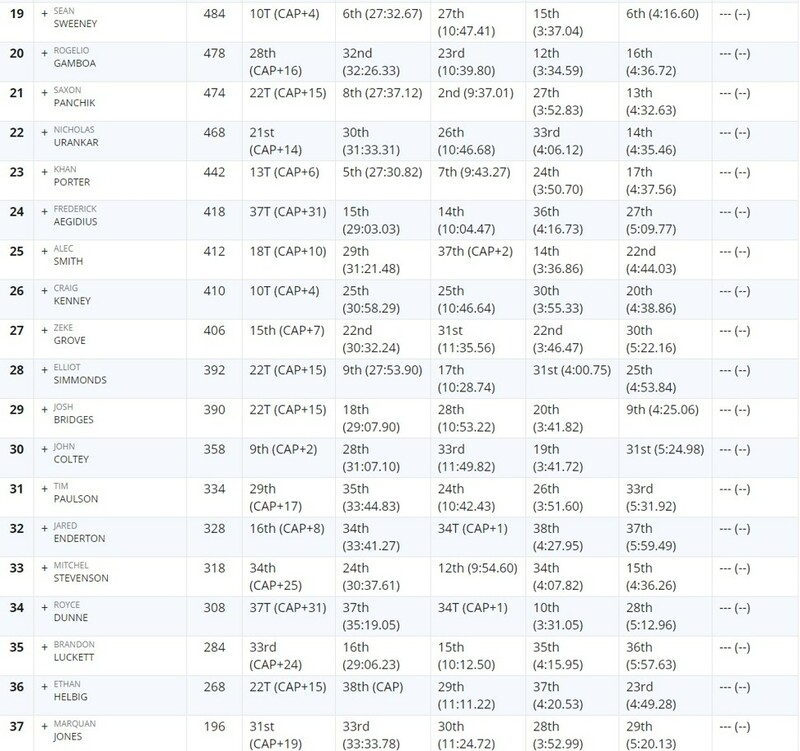 She was there or thereabouts in all the other events too, taking third in the Chaos (8:52.69), sixth in Bicouplet 2 (3:24.11) and fourth in Bicouplet 1 (3:47.33). Laura Horvath is clinging on in second place, with the rookie keeping herself in contention after top-eight finishes in all four events, including fifth place in Bicouplet 2 (3:24.07). Third-placed Kara Saunders (804 points) is perhaps the only other woman who can stop Toomey, after a brilliant finish to Saturday saw her come second in Bicouplet 2 (3:17.34) and first in Bicouplet 1 (3:39.00). Icelandic duo Katrin Davidsdottir (764 points) and Annie Thorisdottir (718 points), both two-time champions, round out the top five, but it looks like snatching a place on the podium in second or third is all they can hope for. Can anyone topple Fraser or Toomey on Sunday, or will the “Fittest on Earth” be having their hands raised again? The athletes assembled on the Lake Monona shoreline on Saturday morning for the “Madison Triplus”, where they had to start by swimming a 500-metre course, which took them back onto land at the finish. They then picked up a paddle-board to paddle a 1,000-metre course, before leaving the water again and running 2,000 metres to the Alliant Energy Centre, where they crossed the finish line. There was a time cap of 40 minutes. Dean Linder Leighton (10th overall) was the men’s winner, coming home in 26:37.51, with Fikowski second (26:52.44) and James Newbury (15th overall) finishing third in 26:52.66. Fraser’s fourth place (27:24.58) kept him roaring ahead in the men’s competition. Khan Porter, 23rd overall, finished fifth (27:30.82). For the women, Toomey took victory in 25:35.01, ahead of Kristi Eramo (25:40.33), Chyna Cho (27:29.22), Mekenzie Riley (27:44.09) and Amanda Barnhart (27:52.23). With her title challengers Saunders (28:01.23) and Horvath (28:08.61) sixth and seventh respectively, it was a great morning for Toomey. All that the athletes knew going into Individual Event 9 was its name, “Chaos”, and the event lived up to that moniker. It saw a brand new concept for the CrossFit Games, with athletes only finding out which movement and rep range was next when they moved onto the next station at North Park Stadium. The judges told the athletes the movement name and athletes performed the movement until being told to move to the next station. 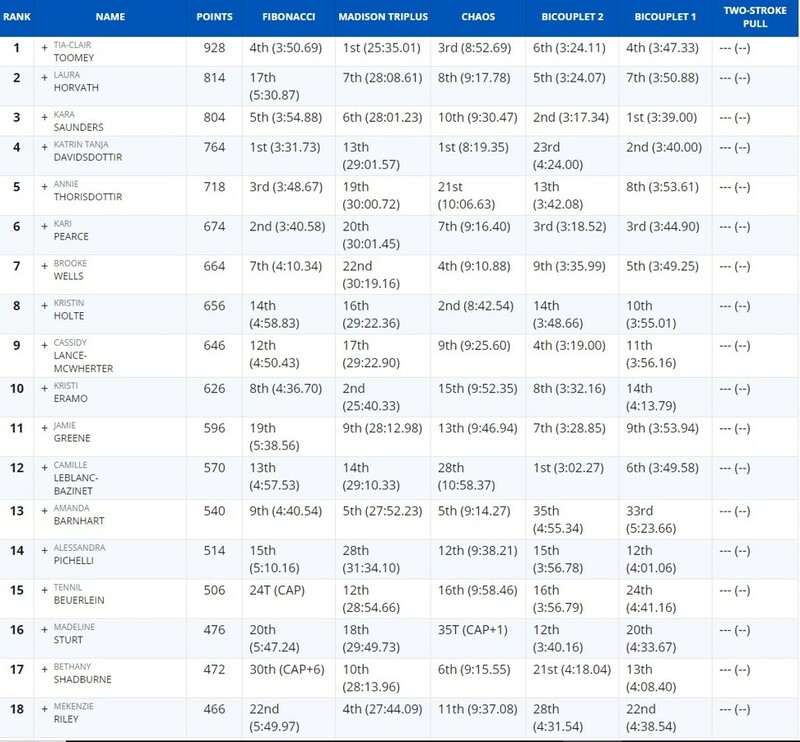 As it turned out, the athletes ended up doing 35/30 (male/female) calories on a SkiErg machine; 30/25 burpees to bar; 45/40 single-arm overhead squats with 50/35lb (22.7/15.8kg) dumbbells; 45/40 single-leg squats; 25 box jump-overs with a 42/36-inch (106/91cm) box; and a 110-foot (33.5m) tumbler pull weighing 400/300lb. 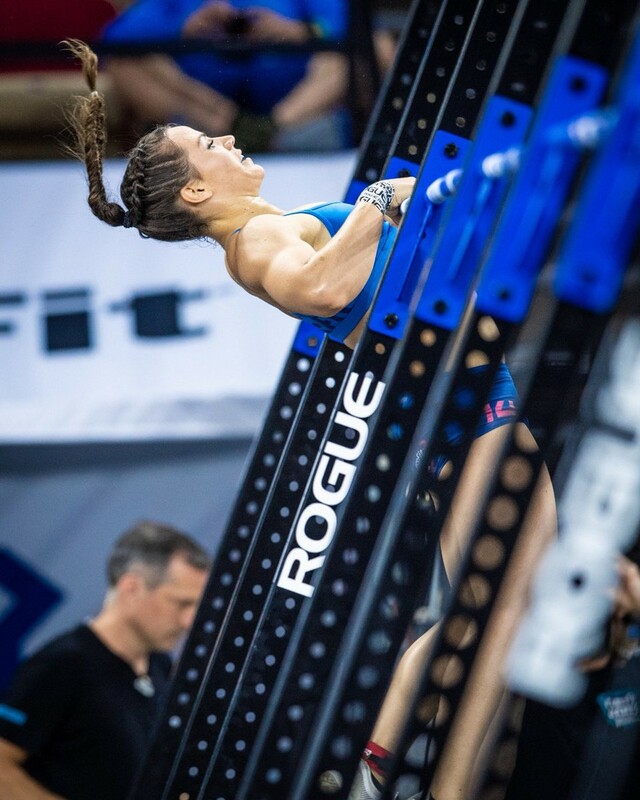 Watch: Chaos, Individual Event 9. For the men, Vellner blew away the field, finishing way out in front in (9:19.86). Saxon Panchik (9:37.01) was next best, followed by Alex Anderson (9:38.79), Hogberg (9:40.94) and Cole Sager (9:41.31). Davidsdottir kept her title hopes alive in the women’s competition with an emphatic victory in 8:19.35. Kristin Holte was her nearest challenger (8:42.54) with Toomey happy to settle for third (8:52.69). Wells said the box jumps were the most difficult movement. With the order of the bicouplets reversed from the team event, following a vote by fans, Bicouplet 2 was first up for the individual athletes. Bicouplet 2 consisted of 12-9-6 reps for time of snatches (125lbs for men, 85lbs for women) and bar muscle-ups. Bicouplet 1 saw the athletes do 21-15-9 reps for time of snatches (85lbs/55lbs) and chest-to-bar pull-ups. There was a six-minute time cap on each event, with a one-minute reset between them. 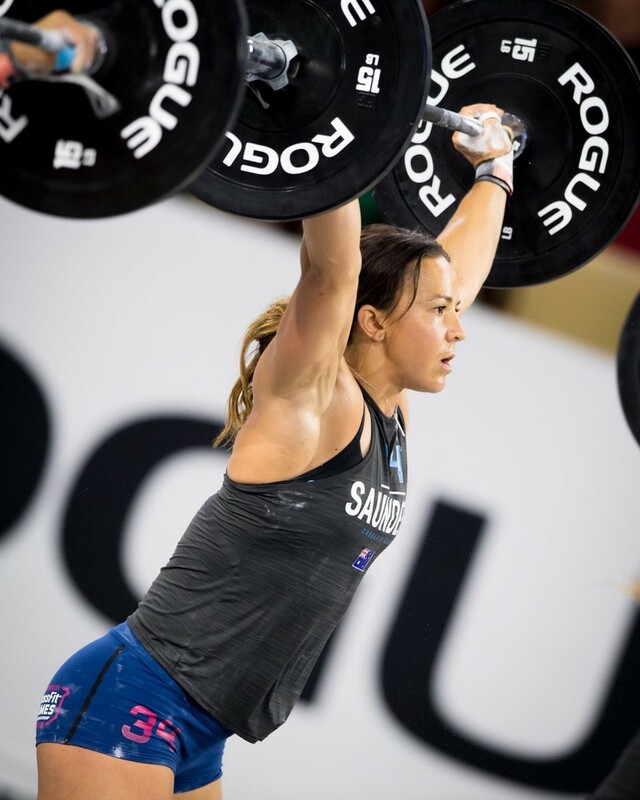 Camille Leblanc-Bazinet stormed to victory in the women’s Bicouplet 2, finishing in 3:02.27. Saunders (3:17.34), Kari Pearce (3:18.52), Cassidy Lance-McWherter (3:19.00) and Horvath (3:24.07) rounded out the top five. Saunders then went one better to win Bicouplet 1 in 3:39.00, with Davidsdottir second (3:40.00), Pearce third (3:44.90), Toomey fourth (3:47.33), and Wells fifth (3:49.25). “My main goal is to enjoy the experience. Just be relentlessly persistent,” Saunders said. 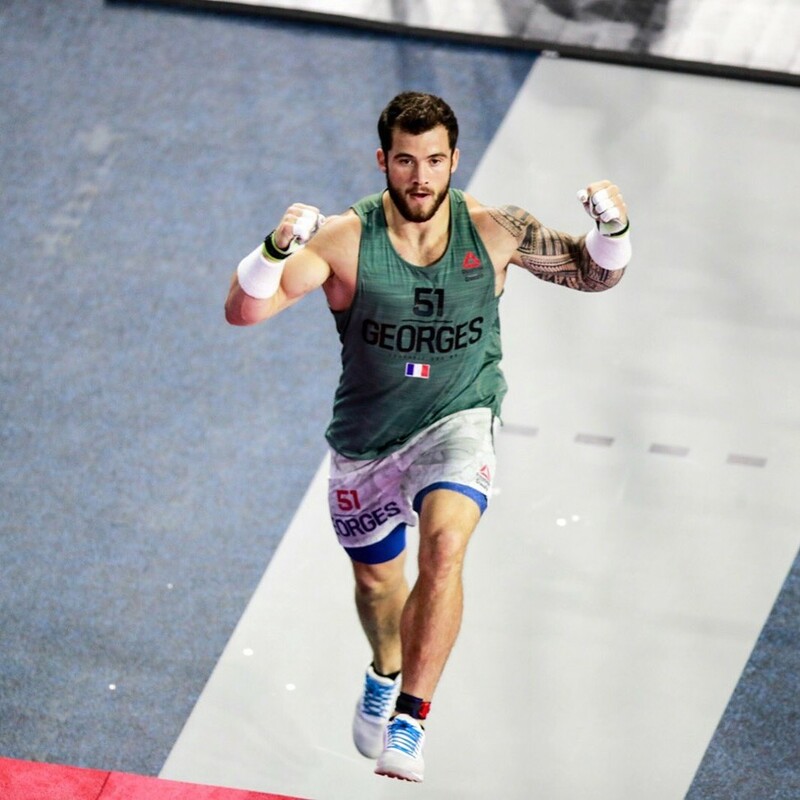 On the men’s side, France’s Willy Georges (3:03.67) took victory in Bicouplet 2, moving the rookie closer to the podium up in sixth place overall. 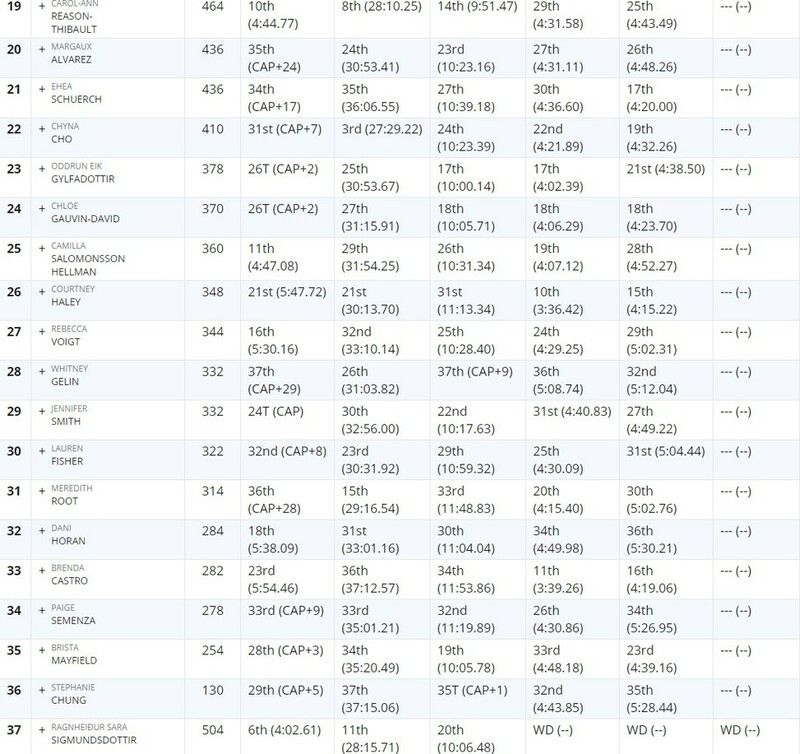 Fraser seems to be unstoppable and his second-place finish in 3:10.36 cemented top spot in the standings. Cody Anderson (3:11.41), Noah Olsen (3:13.89), and Vellner (3:16.90) made up the rest of the top five. Georges (4:05.72) then almost made it a double in Bicouplet 1, but had to settle for second place behind Rasmus Andersen (4:03.93). Ben Smith (4:05.98) took third ahead of Fraser (4:10.77) and Panchik (4:11.49).